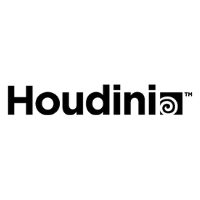 SideFX is the developer of Houdini - the Academy Award-winning 3D procedural animation and effects software platform for the film, TV and video game industries. Clients and partners include Disney/Pixar, Weta Digital, Sony Pictures, Epic Unreal Engine, Unity, Technicolor, EAGames, Ubisoft, Allegorithmic Substance, Rise FX, Guerrilla Games - and many more. Bluegfx provides 3D software, hardware, content creation tools and services to some of the most exciting creative studios in the entertainment industry. As an authority in industry-specific technology, we work with innovative and inspirational clients leading the way in games, design visualisation, film and visual effects. We pride ourselves on our outstanding technical expertise and the level of personal support and guidance we provide to our clients, whether tiny start-ups or established industry giants. Our excellent reputation is validated by our coveted position as Autodesk Gold Partner. Oculus Medium is an immersive creative tool that lets you sculpt, model, and paint digital assets in a VR environment. Create expressive works of art where the limitations of the flat 2D screen no longer apply. With the Oculus Rift, your authentic gestures and movements form a natural, tactile experience, giving you the closest you can get to traditional sculpting in a digital creative tool. 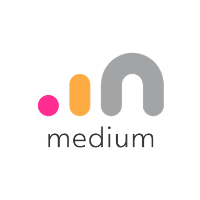 With the power of the Medium’s versatile toolkit, the potential for artistic creation is boundless. MAXON Computer GmbH is a developer for 3D graphics software, offering professional 3D modeling, painting, animation, and rendering solutions. 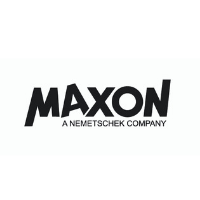 MAXON's product line is centered around its core applications Cinema 4D, a leading animation package for media production, and BodyPaint 3D, its pioneering 3D painting package. These award-winning applications are renowned for their ease of use, quick workflow, fast rendering and unmatched integration into leading compositing applications, such as Adobe After Effects and Apple Final Cut Pro. Additional exchange options for leading VFX tools enable artists to integrate Cinema 4D into almost every existing production scenario and benefit from its powerful tool set. Cinema 4D and BodyPaint 3D have been used extensively in the advertising, film, television, science, architecture, design and other industries. MAXON Computer was founded in 1986, and has offices in Germany, USA, United Kingdom, Canada, France and Japan. MAXON products are sold in over 70 countries worldwide. 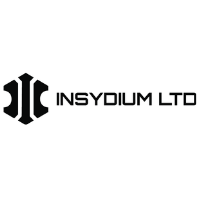 INSYDIUM LTD; is an innovative British Software Company who specialises in the creation of Plugins for MAXON’s Cinema 4D. Proud owners of X-Particles, the most fully featured, advanced particle simulation and rendering environment for Cinema 4D. And, Cycles 4D Render Engine Bridge, the bridge between Blender’s ray-tracing production render engine and Cinema 4D. INSYDIUM LTD is passionate about product development, with artists central to our team, we always keep customers foremost in our mind. 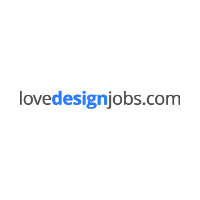 lovedesignjobs.com is a leading online resource for the Creative Industry, connecting creative talent with international job vacancies - in animation, web development, graphic design, UX/UI design, 3D and VFX artists, gaming, digital illustration... Listing thousands of international creative job vacancies daily, it delivers an unparalleled resource for job seekers searching for the next role, project or challenge. Lovedesignjobs, Creativebloq’s jobs board, is a natural editorial environment that attracts a huge, and talented group of creative design professionals, who will be looking to find their next freelance project or permanent role. Finding talent has never been such a challenge. The Creative Industry job market is growing at 28% per year, with 1 million new jobs to be created in the UK alone, by 2030 and employers will continue to struggle to find the right people. Lovedesignjobs.com works with recruiters delivering a platform that can help and support employers in engaging with relevant job seekers at the right time. Wacom has over 35 years’ experience of understanding the creative process to support the needs of broadcast, production, and creative professionals. Wacom's advanced pen tablets and pen displays are used to create exciting art, imagery, films and design around the world. Bringing people and technology closer together through natural, intuitive interface technologies Wacom gives individuals the tools to express their creativity. CG Spectrum is an Online Animation, VFX, Concept Art, and Game Design School established to help unleash your full creative potential and launch your career in the film and games industry. We believe in high quality, affordable, personalized education that places you in demand. Our highly acclaimed curriculum has been developed with the input of major international studios and is taught by award-winning mentors actively working in the industry. At CG Spectrum, you’ll get the most practical and up-to-date knowledge, along with the skills, connections and industry awareness that film and video game studios are looking for. 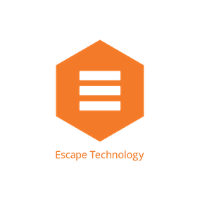 Escape Technology provides​ hardware, software, consultancy and technical support to computer graphics artists. Working with leading ​vendors like HP, NVIDIA, and Autodesk, Escape enhance​s​ and build​s​ pipeline infrastructure for post houses, architects, game developers, automotive designers, ​and commercials agencies throughout the UK and Europe. Chaos Group is a world leader in computer graphics. V-Ray, Chaos Group’s Academy Award-winning 3D rendering software, gives users the power to visualize anything imaginable. Used daily by top design studios, architectural firms, advertising agencies, and VFX companies, V-Ray helps artists and designers across the globe create photoreal imagery, visual effects, and animation for architecture, design, TV, and feature film. In fact, you’ve already seen V-Ray at work in many of your favorite blockbuster movies and TV shows, including Avengers: Infinity War and Game of Thrones. Chaos Group’s research and development is continually helping to shape the future of creative storytelling and digital design. Learn more at chaosgroup.com. 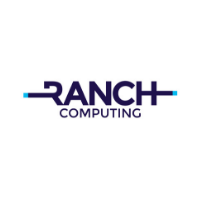 RANCH Computing is a 24/7 cloud rendering service for all 3D images designers. Since 2006, we have been rendering over 400,000 projects in the VFX, CGI, archviz or animation fields. We support over 250 software and plugins and 97% of our clients are satisfied with our customer service. Our 20,000 cores CPU farm and 1 million cores GPU farm are based in Paris, France. Pulldownit plugin started in 2009 as a project to demolish digitally the “Acueducto of Segovia ( Spain)” in a realistic and credible way without using real models at all. This was a great challenge at that moment, after a few months the shot was finished and published to the internet, having an unexpected impact among social networks. 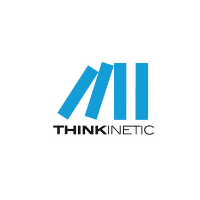 Thinkinetic brand was created after that to offer digital tools and simulation services to the motion graphics industry. Pulldownit plugin is now available for 3D Max and Maya in Windows, Macos and Linux systems and has been used in many productions all around the world. 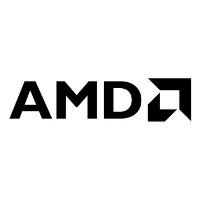 AMD believe that immersive and instinctive computing will transform our lives, and are inspired by how digital technology has improved our world. From helping students learn to creating innovative new therapies for veterans to mapping the universe we live in — AMD technology power the systems that are opening new doors to a better world. We believe the School of Computing, Media & the Arts is at the forefront of current practice. There has never been a more exciting time to study with us. We deliver high-quality courses, research, and consultancy - and are a centre of excellence in the creative and technical aspects of computing, media and the arts. Teesside University enjoys a long-standing and excellent reputation in the exciting fields of animation and visual effects. Our courses are designed for careers in computer animation, character animation, concept art, and visual effects for TV and film. 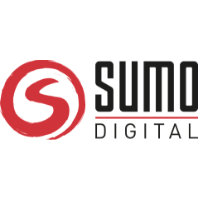 Founded in 2003, award-winning Sumo Digital employs over 500 staff across its five studios in Sheffield, Nottingham, Newcastle & Brighton (The Chinese Room), UK and Pune, India. 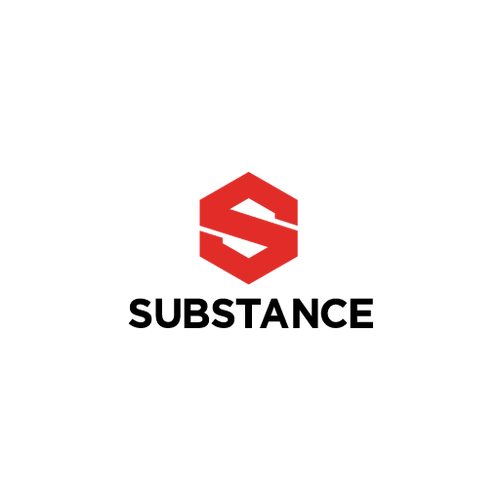 Developing successful games across all platforms and genres, Sumo is recognised for its versatility, proprietary technology and creativity across a portfolio of games featuring titles for major publishers including Microsoft, Sony, Sega and Disney Interactive. Current titles in development include ‘Crackdown 3’, in collaboration with Microsoft, ‘Dead Island 2’ for Koch Media, ‘Project Nova’ for CCP Games and ‘Team Sonic Racing’ for Sega. 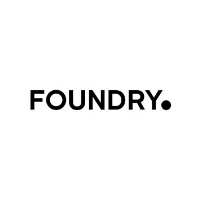 Foundry is the maker of Modo, Nuke, Katana, Colorway and Mari. Foundry designs creative software technologies used to deliver award-winning visual effects and 3D content for the design, visualization and entertainment industries. Our software advances the art and technology of visual experience in partnership with creative leaders across the globe. 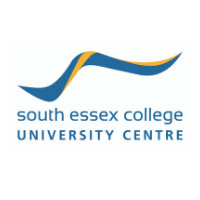 South Essex College (University Centre) is a vibrant, modern institution that offers a high quality student experience. We deliver a range of creative degree programmes that are validated by the University of the Arts, London. These are taught at our campuses in Southend on sea, Purfleet and Thurrock. Our degrees offer a combination of theory and practical work. Our students are introduced to a range of skills in Visual Effects, 3D Modelling, Texturing, Games Level Design and Animation. Students have access to a range of Broadcast Production Studios, Camera Equipment, including Sony FS7 and Digital Software Packages. From Adobe Creative Suite, Cinema 4D, Maya, Zbrush, Substance Painter Design, World Machines, Marmoset, Unity, Python Scripting, Toon Boom and Render Farm. 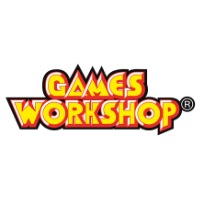 Games Workshop has been making Citadel Miniatures, the finest fantasy miniatures in the world, for 30+ years. Set in the worlds of Warhammer: Age of Sigmar and Warhammer: 40,000 these miniatures are prized by collectors, modellers & gamers alike. We do pretty much everything ourselves because we are obsessed with the quality of our products & services. Our global HQ is in Nottingham, UK and is home to over 1300 employees. This is where we design and manufacture our fantastical miniatures and associated models. Blue Zoo is one of the UK’s leading animation studios with an enviable client list and a shelf full of BAFTAs for their trademark CG character animation. They’ve produced some of the most well-loved kids shows on TV, memorable commercials, and their animated shorts are rapidly gaining recognition for artistry and innovation. 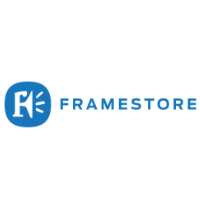 Framestore bring extraordinary ideas to life in any space or screen through craft, imagination and technology. Known for our visual effects, we have created incredible scenes for major Hollywood pictures: Christopher Robin, Paddington 2, Fantastic Beasts: Crimes of Grindewald, to name just a few. We work with advertisers to bring VFX to the small screen, and use the latest technologies to tell stories in new ways, exploring VR, AR, data visualisation and more. Framestore is home to a vast talent pool of almost 3000, incorporating artists, producers, engineers and creatives, located around the world within a global network of studios. Together we create some of the most exciting and innovative projects seen in the industry today. ftrack is the project management solution VFX, animation and games teams use to remove complexity from creativity. 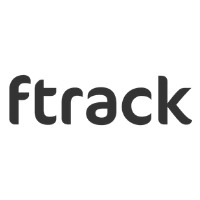 ftrack’s production tracking platform connects teams, simplifies workflows and increases studio efficiency. Whether a small boutique or global multi-site studio, ftrack scales to your business. The artist-friendly user interface and flexible pipeline tools have led ftrack to be adopted by world-leading creative studios including Saddington Baynes, Blue Zoo, Cinesite, Luma Pictures, Mackevision, MPC, and The Mill. Marmoset is the developer of Toolbag, the industry leading real-time rendering, animation, lookdev, and texture baking suite - essential tools for 3D art production. Substance is the reference solution for parametric PBR materials. The texturing suite has gained international recognition for its three flagship products: Substance Painter, the 3D painting software; Substance Designer, the tool for creating and editing digital materials; and Substance Source, the online library of high-quality materials.